Here is a Horowhenua petition about the local landfill you may like to consider signing … all info contained herein, and click on the link at the end to take you to the petition site to sign. The petition was not created by EnvirowatchRangitikei, however we are advertising it on the campaign creator’s behalf. So we have the two councils fighting each other, wasting hundreds of thousands of our dollars, when it could have all be resolved if Horowhenua District Council would come clean and discuss the option of the alternative landfill at Bonny-Glen which is far more cost effective and environmentally efficient. According to RDC’s own report of December 2014 “Marton’s WWTP is configured as a domestic/municipal wastewater treatment based upon pond technology. It is not well suited to provide high levels of treatment to significant industrial trade wastes of a complex nature”. The operative words here are “working on”, “may be able to” and “a few years”. This non specificity will allow all parties concerned to drag their feet for quite possibly another decade or so given the wheels of bureaucracy turn very slowly. Note they have dragged their feet for one decade already whilst polluting the Tutaenui stream to who knows what extent … as deputy Mayor “Mr McManaway said it was a worry that records of what was being put through the system [that he serves] had not been maintained.” (Wanganui Chronicle 20/12/14). In fact, with 10 of the required 36 reports over nine years either missing or non-existent, and a decade of largely non-compliance, going by the water testing that did occur, we can fairly safely conclude it’s in a bad state. And the in-stream biota surveys? There’s been none since 2002 … the consent requires one every three years so four are missing. (These surveys tell us the state of the stream’s aquatic life, if any). My two queries in March to RDC asking if there’d be another one hasn’t garnered a response yet. A person on the truck route commented on the article however that they were seeing the leachate truck go past at least three times a day. A conservative estimate then would make that one round trip a day at least. Fast forward eight months. The consents are granted to quintuple the landfill size (not quadruple as previously broadcast) with a now increased volume of leachate due to the extended capacity of the landfill. It’s been observed by a local who lives on the truck route, that the leachate tanker is making seven round trips a day on average, and often there are two tankers working bringing that up to twelve round trips a day, six days per week. So we have progressed from an estimated six truckloads per week to a conservative forty two to seventy two per week. That is quite some increase. But then we do have a gentleman’s agreement that it appears, at all costs must be kept. Hopefully RDC will see their way clear to getting an in-stream biota survey soon so we can know how trashed the Tutaenui really is. If you haven’t surely already deduced this, RDC, like councils everywhere these days, has been placing corporate interests above the interests of both the environment and the people who elect them. These same councils espouse ‘sustainability’ – the new ‘buzz’ word – while in reality their practices are everything but sustainable. with forked tongues. Not only are they allowing foreign companies to pillage precious supplies at ‘mates rates’, they also turn a blind eye to industry’s ongoing and blatant pollution of our precious waterways. This is evident in Rangitikei’s ongoing issue and lack of accountability with regard to the dumping of leachate into our water systems by local landfill owners, Midwest Disposals. Watch this space. “In 2013, the company drew 27 million gallons of water from 12 springs in Strawberry Canyon for the brand — apparently by employing rather impressive legerdemain —considering the permit to do soexpired in 1988. But, as Nestle will tell you, that really isn’t cause for concern since it swears it is a good steward of the land and, after all, that expired permit’s annual fee has been diligently and faithfully paid in full —all $524 of it.” …. “Though there is no way to verify exactly how much Nestle must spend to produce a single bottle of Arrowhead spring water, the astronomical profit is undeniable fact: the most popular size of a bottle of Arrowhead 100% Mountain Spring Water (1 liter) retails for 89¢ — putting the potential profit for Nestle in the tens of billions. An article by Zaryd Wilson from the Wanganui Chronicle on the waste water treatment plant that has featured greatly throughout the whole recent process of the consent hearings. The matter being the company Midwest Disposal’s disposal of leachate from its Bonny Glen landfill into the plant. Amounts dumped have exceeded consents and been the subject of a long standing status of non-compliance. You can read about that process on the Bonny Glen page. 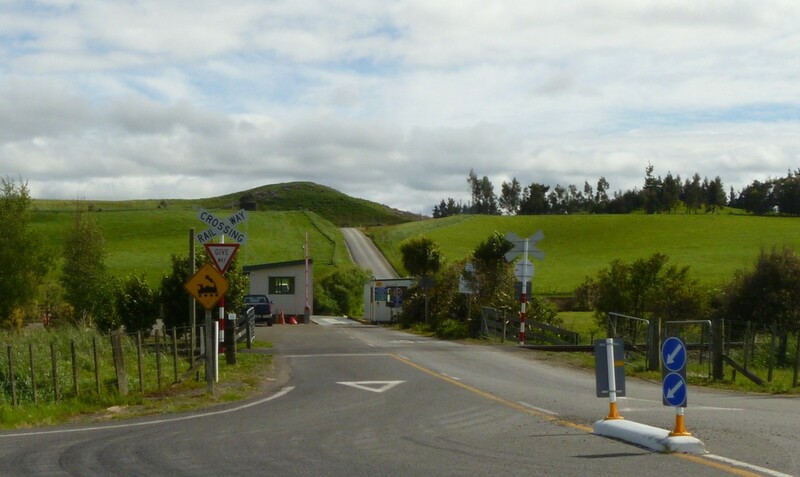 (The Bonny Glen landfill was sold to Midwest by the Rangitikei District Council around a decade ago and a leachate-dumping agreement was informally put in place – a gentleman’s agreement – that has been far from satisfactory going by the non-compliance history). A local has contacted the site recently reporting that there are 7-12 round trips on average per day by the leachate tanker. Sometimes two are operating. “A multi-million dollar upgrade to Marton’s wastewater treatment plant has been endorsed by councillors. 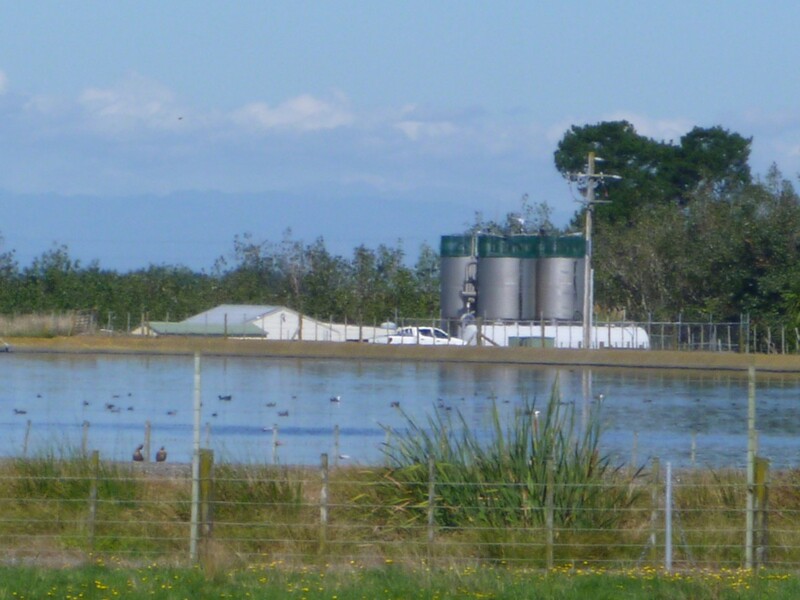 The plan, which includes a second anaerobic pond, new storage tanks and community involvement in the process, was discussed by Rangitikei District Council’s assets and infrastructure committee last week. Councillor Nigel Belsham said if it was trade waste causing problems to the plant and not domestic waste, the bill should be picked up by industry. we can smell the tip at times when the wind blows from that direction, 6-7 kms away. Please contact the site if you have any similar concerns regarding this landfill and how it is affecting you. And or contact the RDC and let them know. Here is a story of pollution at its worst. ANZAC, unexpectedly this year (2015) became the avenue of discovery and the event that prompted me to write this post. A note first to non-Kiwis/Aussies, ANZAC stands for Australian New Zealand Army Corps … every 25th of April, we commemorate our brave soldiers … our parents, grandparents, aunts and uncles, brothers and sisters, who both risked and sacrificed their lives in the two World Wars. This ANZAC service was being organized by Phil Taueki (Muaupoko iwi) one of Lake Horowhenua’s owners and kaitiaki or guardian of the lake. The original commemorative plans would have seen swimmers crossing the lake however, those plans were dropped. You will see why shortly. We had no idea Freyberg had trained in Lake Horowhenua, or even that he had lived so close to our home town, only fifty or so minutes drive away. We decided to go to the service and take along with us the group photo my father treasured of the General, the General’s batman (also my father’s good friend) Laurie Keucke and himself, taken en route from Arrezzo, Rome, when they’d stopped for a ‘brew up’ and refreshments . My father remembered Freyberg as a fearless man who already had 18 wounds at that time. His driver from El Alamein to Monte Cassino to Rimini, he said that although it could be frightening being on the road and always vulnerable to attack, nevertheless the General was always without fear. Freyberg apparently had a sense of humour too behind his fearsome exterior and knew the boys called him ‘Tiny’. Because his parents had emigrated from the UK to NZ when he was just a small child, he would undoubtedly have experienced the Kiwi culture and its characteristic sense of humour growing up. For example, when staff who didn’t like the fact that Kiwi soldiers didn’t always salute them, he’d suggested they try waving instead! The New Zealand guys always gave him a bit of stick too my father said. 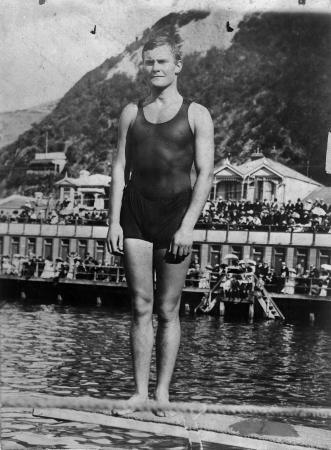 Knowing of his swimming expertise, when Freyberg and his men were getting ready to cross the Sangro River during the Italian campaign, someone called out, “Hey Freyberg, you gonna swim across?”. This was met with a tight lipped, “they wouldn’t get away with that in the British Army”, and as always with this kind of comment, a gleam in his eye. The kind of man the Freyberg was is evident too in his posing for the group photograph. Generals wouldn’t normally be photographed I’ve been told, with that level of staff . After WW II when Freyberg visited Dad’s home town Whanganui, he’d broken rank and hugged my father when he spotted him in the parade … exclaiming how he always remembered the wonderful breakfasts he’d cooked him in the desert. I always remember him as an excellent cook. After Freyberg’s appointment as Governor General of NZ after the war in 1946 my father and other of Freyberg’s staff I’ve heard, would call on him for a cup of tea at his home in Wellington, and every year, there would always be a Christmas card from Government House. 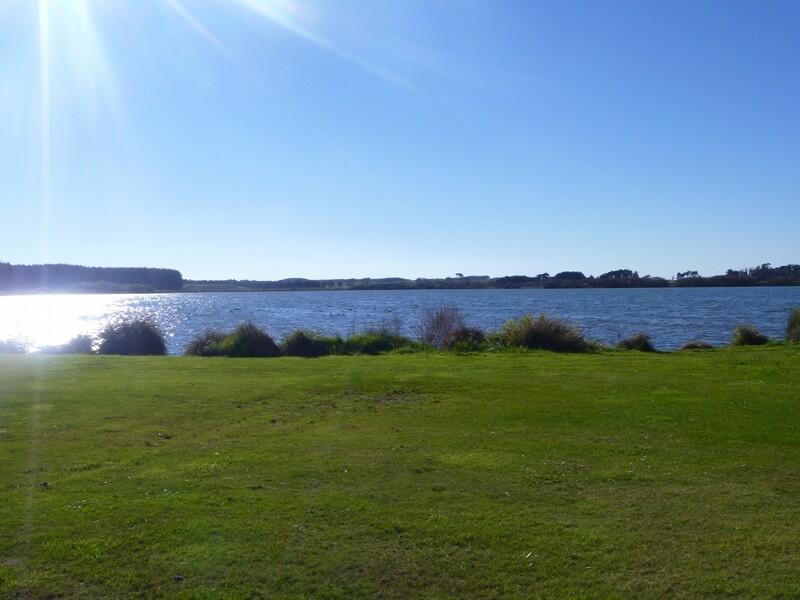 Returning to Lake Horowhenua, it turns out that the pristine lake the young dentist had trained in all those decades ago, had since been transformed from a valuable source of income and kai (food) for Muaupoko … into a literal toilet bowl. Raw sewage had been pumped into it for two decades starting in the 1950s, and although it ceased in the 1980s, the lake has continued to be polluted to this day by effluent from both surrounding dairy farming and from local agricultural activity. The price tag to clean up the pollution and realize the dream of having swimmers cross the lake on the day was estimated by Horizons to be $2.886 million. This story is all too familiar. Here in the Rangitikei we have our own pollution scenario, where locals have complained that the extension to Bonny Glen landfill to now nearly quintuple its size, will turn our ‘unspoilt’ district into the toilet bowl rather than the ‘grain bowl’ of the lower North Island. ‘Unspoilt’ is the featured word on our official district logo. This is clearly not true. Read Part 2 of this post with more on the events that transpired that ANZAC Day. Is there another route that could be used? If it must continue? Backtrack to mid 2014 and we had reports saying that if consents were granted to quadruple the landfill size the trucks are unlikely to be more numerous on a daily basis … (Feilding Herald Aug 14 2014) now the consents are granted and the landfill is set officially to almost quintuple we are told there WILL be an increase of trucks from an average of 42 to 73 per day (Manawatu Standard 12 June 2015). Note, I have also reported on the site other expressions of concern over trucking noise and speed. A truck every ten minutes (35 in a morning – modest estimate) and at very early hours. This person reported the entire house shaking when they went by, often dropping refuse along the way, and leaving odour. The person is not alone in their concerns, other neighbours are also fed up with the trucks. If you’re concerned in any way with the state of affairs concerning truck nuisance, put them in writing to the RDC Mayor and Crs, and/or make them known at the Community Committee meetings that meet every second Wednesday of the month. Details on the RDC website. Please also consider contacting the site so the information can be registered there as well. Note the operative words here: “may … few months … considering … chipping away”. It is interesting that on one side of the table, the company that managed to secure a nice loose ‘gentleman’s agreement’ to dump the toxic leachate in the first place, and contaminate our local stream to the extent RDC and Horizons seem unwilling to conduct ongoing in-stream biota surveys, concealing just how loose that agreement was … and on the other side that same company managed to effectively exclude all discussion of leachate, truck nuisance and landfill pests from the hearings altogether. And now it’s all go ahead with the consents safely in hand, still we’re required to ‘chip away’ at things. Some of us are not fooled by all this drag-the-chain rhetoric. In the meantime, as the latest Chronicle article points out, the waste water treatment plant is still non-compliant. “While more rubbish is set to pour into soon-to-expand Bonny Glen Landfill, the Rangitikei District’s water and roading will not be trashed. The Rangitikei District Council assets and infrastructure committee heard on Thursday it would still be a few months before a solution would be finalised concerning leachate from Bonny Glen. Leachate causes a problem for the Marton Wastewater Treatment Plant…. Watch this space … leachate ’causes a problem’ is quite an understatement … witness seven years of regular non compliance which RDC has failed to address thus far in spite of it being highlighted by Marton’s Community Committee. RDC is ‘chipping away’ at this and … it will reportedly be several months before a solution is finalized. Here’s hoping this will not be another of those delayed solutions that never quite materializes.